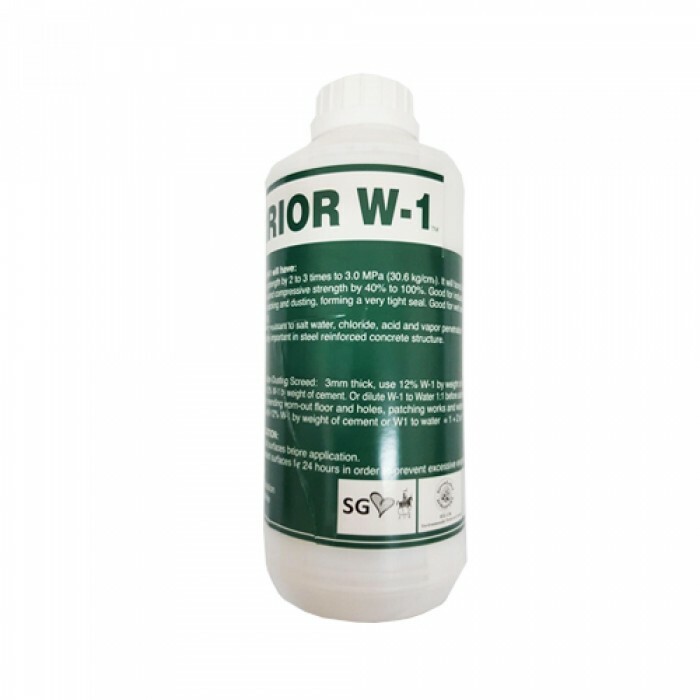 Warrior W-1 Cement Strengthener is the best and most versatile polymer additive. It can be added into cement for use; tilling, tile-on-one, new-to-old wall plastering, tile grouting, waterproofing, rising dampness, screeding. It can also be poured/injected into crakcs to stop water seepages. It is so highly concentrated that is can be diluted twice with water. Improved bonding strength by 2 to 3 times to 30.57 kg/cm2. Especially good for bonding homogenous tiles, granites and marble tiles, and to prevent staining. Increased flexural and compressive strength by 40% to 100%. Compressive strength to 56.00 N/mm2. 10 to 20 times more resistant to oil, salt water, chloride, acid and vapour penetration. A feature particularly important in steel reinforced concrete structure. Improved plasticity and flow (ASTM C 124-71), easier to work with, reduces porosity. W1 Cement Strengthener is deemed to be suitable for use in contact with water intended for human consumption tested against SS375 : 2001. DescriptionArensi-Marley's range of uPVC Gutter is an unique and preventive investment for your buildings. Arensi-Marley's ranges of uPVC ..
DescriptionThese UPVC pressure fittings are manufacturing according to standard MS628 Part 2 and complied with BS 4346. These fittings are used fo..
DescriptionStops Leakages in toilets without removing the tiles. 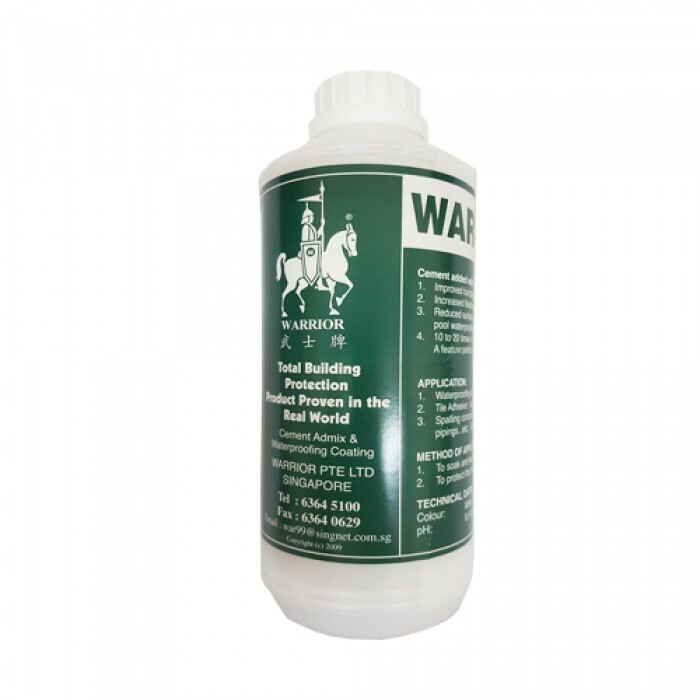 Repels rainwater from exterior masonry wall, granite and marble surface. ..
DescriptionThis pipe is complied with MS 628, MS 762 and JIS K 6741 (JIS Standard), which intended to be used for pressure application in cold wat..
DescriptionPENTENS E-GROUT is specially formulated for boat building, woodworking and construction industries. It has high mechanical strength, th..
DescriptionWidth (W): 50mm Length (L): 2.0m Colour: Grey DisclaimerAll product images shown are for illustration purpose..
Building Materials/Galvanized (GI) WireGalvanized (GI) Wire #14 (KG) DescriptionGauge: #14 (~2.03MM S.W.G) Weight: 50KG/COIL..